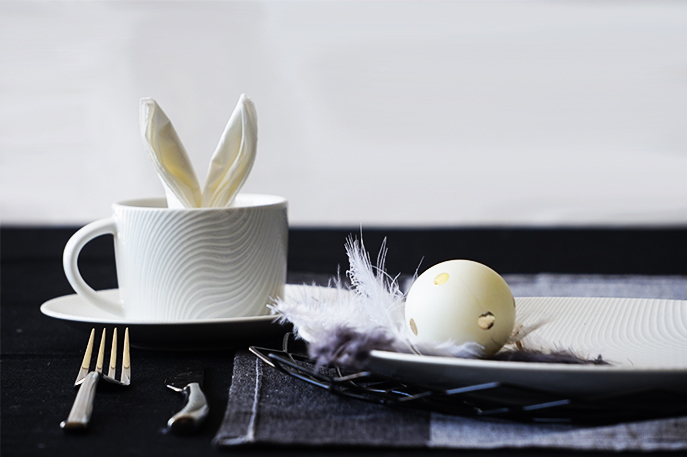 Noritake’s Top Tips for a creative Easter Table! Easter is an annual favourite and a great opportunity to relax and unwind with family and friends. This year at Noritake, we would like to share with you our top tips and favourite décor ideas to help inspire your tabletop creations and help make entertaining a breeze! Early 2016 has experienced the growing popularity of minimalist inclinations which have been characterised by Pantone’s soft colour palette ranging from Rose Quartz to Serenity Blue. Joined together, these colours reflect the gentle harmony between wellness, nature and peace. 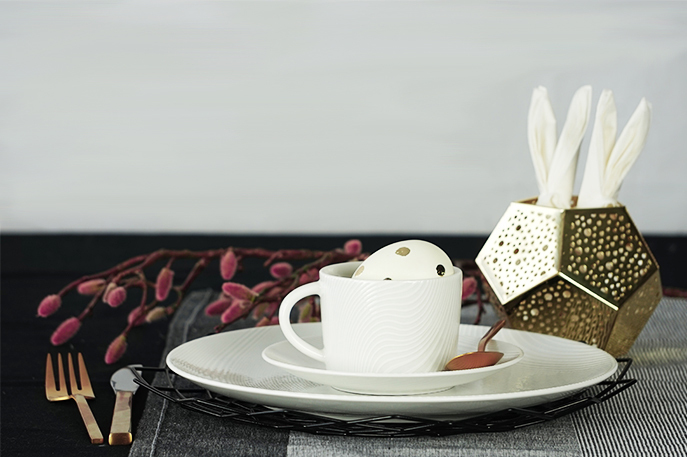 Home décor and tablescapes have been influenced by these ongoing trends, and this Easter is no exception! To create a stylish and modern tablescape, our golden rule is to keep it simple. Less is more! Especially when using fine china which is often ornate with articulate patterns, or when creating a contemporary style setting characterised by simple and minimalist qualities. When choosing plates and silverware, mix it up! Keeping to a single pattern type is ideal for a traditional celebration but why not redefine traditional associations and add some modern flair to your traditional Easter table. 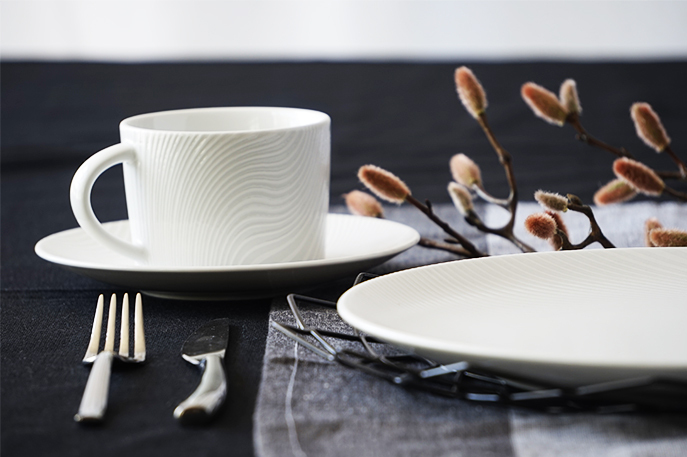 We recommend mixing black and white tableware or even incorporating pieces of your casual setting in with your formal-wear. Props and decorative accessories such as glassware and table decorations are a great way to heighten your tablescape and create the ‘wow factor’ that will keep your guests entertained. Fresh flowers, glass or woven containers, Easter themed decorations such as chocolate bunnies or eggs are an affordable and fun way to spice up your table. Bursts of colour will add instant vibrancy to your setting and highlight your creative flair. *Recreate these cute napkin bunny ears (as pictured above) using simple napkin folding techniques. Click here for an easy step-by-step tutorial.